Evatronix SA is a company based in Bielsko-Biata which was established in March 1991 by Wojciech Sakowski and Włodzimierz Wrona, doctors of the Silesian University of Technology. Since its creation Evatronix specializes in providing computer and technical equipment dedicated to the fields of design and industry. 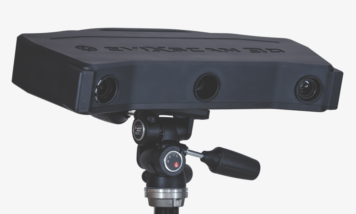 Evatronix develops and designs professional structured light scanners. First software provider and solutions integrator dedicated to the CAD / CAM, Evatronix opened in 1998 a development department dedicated to electronic components. Today all the efforts of engineers and developers Evatronix focused on the development of the range of 3D scanners eviXscan. A Special-purpose scanner, which guarantees obtaining high accuracy in harsh environment.